We can assume that God gives us the Saints to inspire us and to set an example for us to follow. 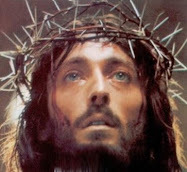 Their lives of heroic love and virtue encourage us in our pilgrimage here on earth. 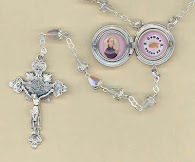 The Holy Spirit, it seems, has used primarily two means of spreading devotion to St Gemma over the past 100 years. 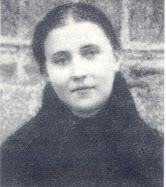 Certainly the book “The Life of St Gemma Galgani” has helped spread devotion worldwide. 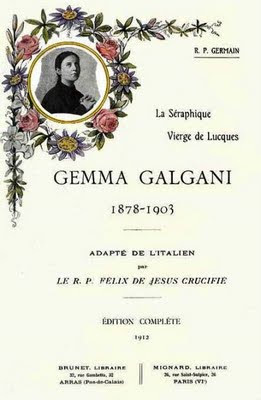 The first edition in Italian was written by Gemma’s spiritual director, Venerable Padre Germano Ruoppolo CP in 1908, only 5 years after Gemma’s death. Inspired and edified by Gemma’s fervent love and devotion, the faithful were drawn to the book, which soon went through several editions and was soon translated into numerous languages and spread abroad within a few years. Pictured above for example, is the French edition, published in 1912 (Note, you can click on this photo and all the photos on this website to enlarge them). The second means of spreading devotion to Gemma has been through the wonderful efforts of the Passionists throughout the world. The Passionists priests especially, with their charism for preaching missions and retreats, have devotedly spread the life and heroic virtues of the Saint throughout many parts of the world. Through their efforts, and the efforts of the Passionist nuns, many churches, shrines and chapels have been dedicated in her honor throughout the world. Surely the most notable of the churches dedicated to Saint Gemma is the Monastero-Sanctuario di Santa Gemma, a Passionist Monastery in Lucca, Italy. Lucca is of course the city where Gemma lived and died, and her mortal remains are venerated in the Monastery-Sanctuary church. (photo to the left is the statue-urn within the main altar of the Sanctuary-Church that holds Gemma’s venerated remains.) Also in the Sanctuary-Church are the remains of her spirtual director, Venerable Germano Ruoppolo CP and also her confessor, Monsignor Giovanni Volpi. 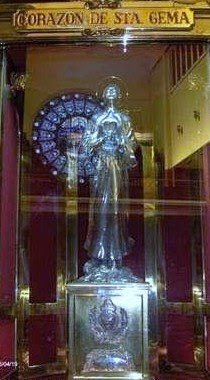 Perhaps the second most important church devoted to Gemma is the Church-Santuario de Santa Gema in Madrid, Spain. 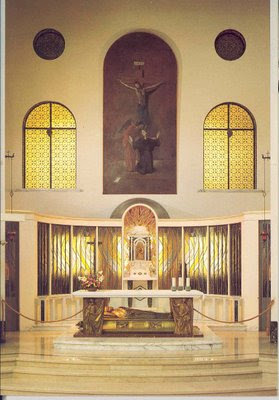 This important church has a statue reliquary that contains St Gemma’s heart (see photo to the left). Also, in the Church is a beautiful life-sized statue of Saint Gemma. Known for its beauty, this Church gets thousands of visitors each year, who come to worship God and also venerate and honor the Patron saint whose name it carries. In honor of St Gemma’s feast day in May, the faithful carry the life sized statue of St Gemma in procession from the Church through the streets of Madrid.. This large and beautiful church is also cared for by the Passionists, who along with the faithful in devotion to the Saint, organize yearly celebrations in her honor. Bless you, bless you for your frequent updates to this fantastic site. I have learned so much here. What a special friend to St. Gemma you are! 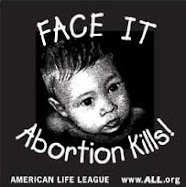 I pray God gives you the grace to continue joyfully in this wonderful mission. Thank you for your kind comment. I am really glad to hear that you are enjoying the website.